Wow, the first week of November is behind us as if it was a blink of an eye and I have been planning to share with you an insight into how we feed our dogs. 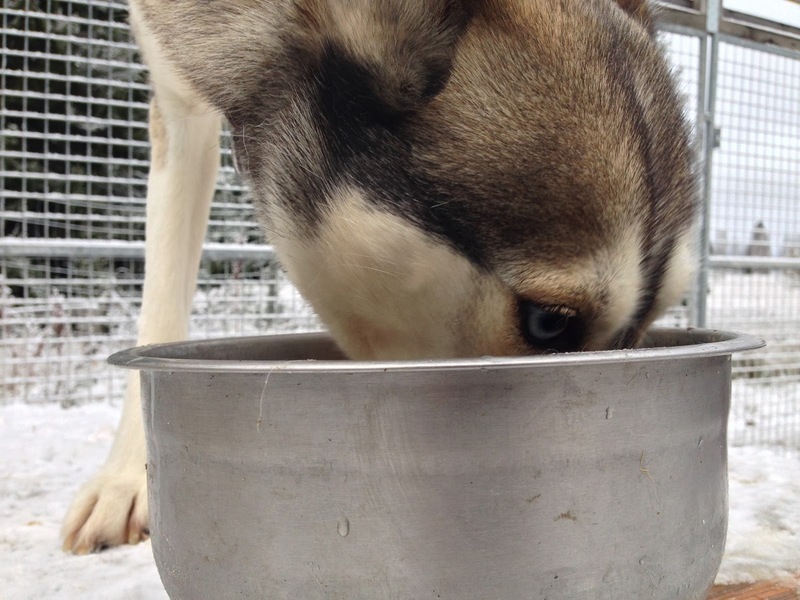 At the beginning of the month, I always update the feeding program of our dogs. 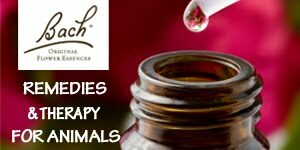 It is a time to evaluate their condition and to look into the upcoming month to consider several factors, before I make any dietary changes for them. Regardless of what your dog´s activity is, if you are a dog musher, agility handler, breeder or you have a pet dog whom you enjoy walks in the park with, there are several criteria for providing your canine friend an adequate diet to cover his or her nutritional needs. 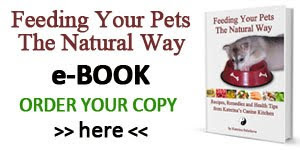 Let´s look at the factors that you should take into consideration when feeding your dog. Keeping in mind every dog´s individual nutritional and energy needs is one of the most important factors in their feeding program and especially in large kennels it is important to not overlook this criteria. I have been surprised to see some feeding routines such as "males get two scoops, females one scoop" or "big dogs big scoop, small dogs small scoop", etc. Although this may sound logical at first, there is absolutely no rule for big dogs or males getting bigger portion than females. You need to regularly check your dogs´ condition and weight to get to know their individual needs. While the big guy may need overall more energy to keep his big body running, he may be a slower mover, or have generally slower metabolism than that small, hyper-active girl, who burns calories like a locomotive. Another aspect I consider when I am adjusting our dogs´ feeding program is the weather of the given month. 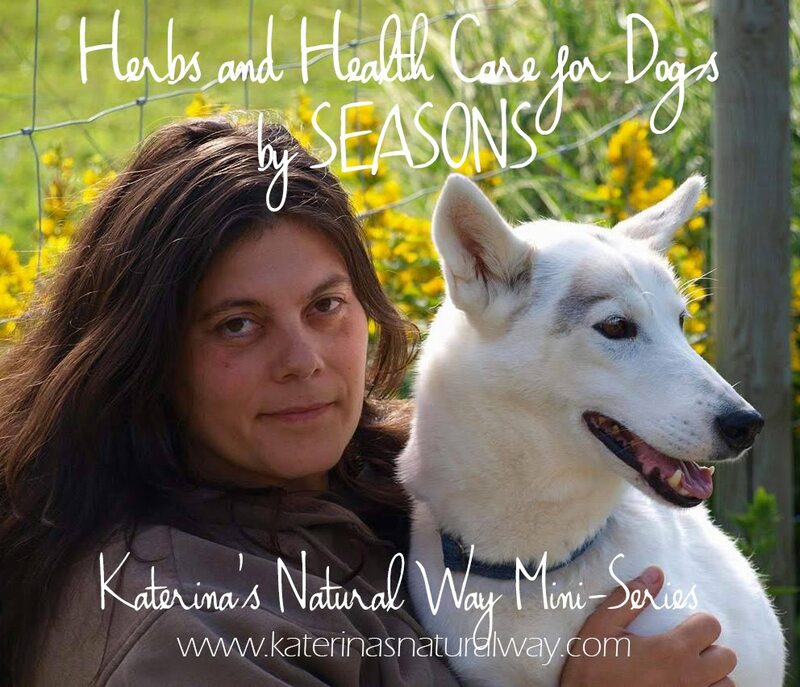 The most significant changes for the dogs´s energy needs will be during those season changing months, such as above zero jumping to below zero, there is a difference between freezing at night and plus degrees during the day, versus 24 hour freezing periods. Then again during spring break up and when spring changes into summer, when the sun stands high in the sky, keeping everybody hot and thirsty and less active. Although in our case, the dogs live outdoors all year round, thus having different energy needs than those staying indoors for the night, or living permanently indoors. But even the indoor dog´s diet needs some adjustments when the seasons change. Almost hand in hand with the weather and climate considerations comes the plan for the dogs´s activity during the upcoming month. 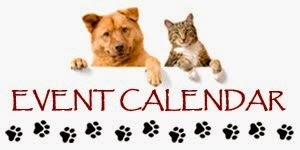 What do you plan to do with your dog that month? Training for agility competition? How often per week? Or planning to travel a lot? 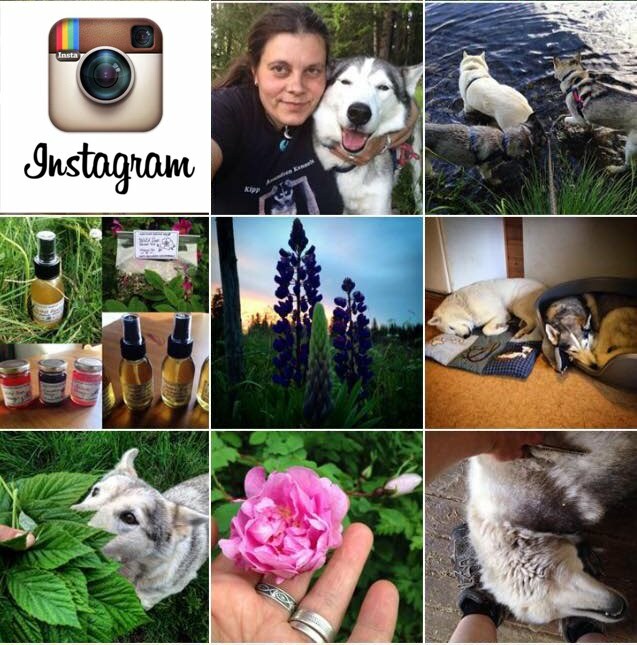 Dog show every weekend, long walks, hiking trips, preparing for a long dog track at the end of the month? Consider everything. How much is your dog going to move and in what kind of weather. 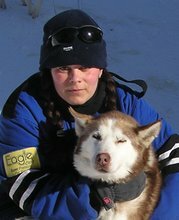 With sled dogs, this factor is one of the most important ones, for composing the adequate feeding program. The distances we run our dogs on increase as the training and racing season progresses, while the weather gets colder and the energy requirements of our dogs increase tremendously. 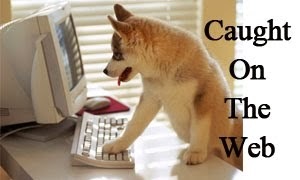 You need to use your common sense and check your dogs´s condition every week. It also works the other way around. After the race season is over and the weather starts warming up, the trips we make with the dogs are just to keep them happy and moving, to enjoy ourselves together, the distances gradually decrease. And so shell the fat in the diet, and the feeding amounts. Just as important as how much and what to feed under different circumstances is how often to feed and also hydrate. During freezing months dogs that are housed outdoors permanently need watering. 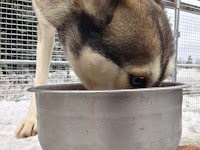 Soaking the dinner kibble into a lot of water and believing that we have done a 2 in 1 job, is a very poor way of hydrating your dogs and is definitely not significant nor healthy. I have an article on that subject on my "drawing board". Simply said, feeding is feeding and watering is watering. And because many dogs will refuse to drink plain cold or warm water in subzero temperatures, all sorts of meaty soups are a great option. Also splitting feeding in two when the dogs need to receive a higher amount of calories is very good in terms of providing the energy throughout the day, instead of just once, especially if the dogs will be working or otherwise active for an extended period of time during the day. We also don´t want to give too large volume of food at once as it isn´t healthy. Here is an example of what I have prepared for the fur kids´s November menu. It is an unusually warm autumn this year. The temperatures barely drop under zero degrees celsia. 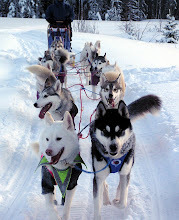 This year we also don´t train for races, but instead for sled dog tours we´ll be doing. Speed and covering long distances will not be our case this year, instead strength to pull heavy sleds is the main factor. So we still run rather short trips with an ATV. Based on the weather and activity level for this month, I want the dogs to be consuming high levels of protein to help build and maintain their muscles. No high amounts of fat are needed as of yet either. Morning Watering: ground meat mix consisting of beef tripe and organs with whole chicken. We feed about 3/4 liter of the meat soup per dog. Dogs with higher energy requirements get more meat and/or kibble. Dogs with special dietary needs get their individual feeding portions and supplements/meds. This counts puppies, old dogs, dogs recovering from injury, medical treatments, sick dogs, pregnant or nursing females, etc. After Training Drink: 1,5kg of ground meat, cold pressed wheat and corn germ oil, 1 liter of high energy kibble per team. We feed 1liter of soup per dog. 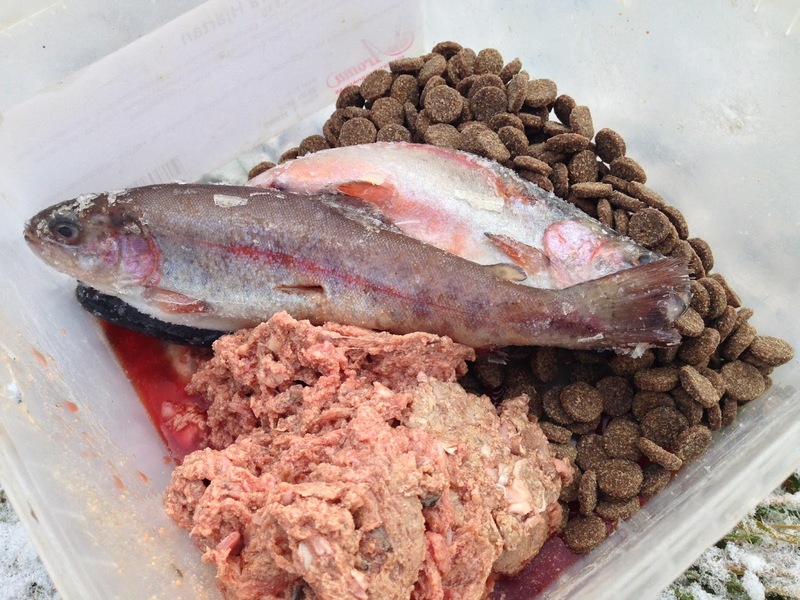 One frozen 100g fish snack (whole trout) per dog. Evening Feeding: 6kg of ground raw trout, 3kg of ground meat mix of beef tripe and organs with whole chicken, high energy Norwegian kibble Troll Ekstrem (amount defers for each dog), salmon oil, natural supplements: kelp, sea corrals, MSM. Again, dogs with special dietary needs get their individual portions. If you are looking for the free online dog care course and if you don’t have convenient access to dog trainers, or you don’t want to pay for expensive training classes, then you can visit this site houlton institute.